We have some marvellous articles in Issue 03. One of the most controversial topics concerns a certain decade. To explain, I've adapted the first verse from the opening of Sergeant Pepper. Are the 1990s really vintage now? This publication relies on a collection of incredible writers, including my chums at Eclectic Ephemera, Porcelina's World and Crinoline Robot. Well, Lucy may be in the sky with diamonds, but fellow editor Ms Ava Aviación is on the front cover of the magazine in a super frock, along with the equally lovely Katie Pedlow. "It's getting better all the time", sang Messrs Lennon and McCartney. And it's true for In Retrospect. Issue 03 is without doubt the best issue yet. You wouldn't dare to question the word of a gentleman now, would you? The emergence of In Retrospect fixes a very big hole in the vintage magazine world. As a subscriber to 'The Chap', this particular journal is quite different to In Retrospect so there is plenty of room for them both to cohabit. Of course, the most well-known of the magazines is the established Her Vintage Life. While I do enjoy flicking through the occasional ladies magazine, Her Vintage Life ignores all the vintage-loving men out there. And quite frankly, In Retrospect is far superior. So there. Yes, the magazine is leaving home on 1st June so grab her before she is snapped up by another admirer. I can't promise a show on trampoline, but there are all manner of vintage goings-on in our summer-packed events section. Well worth getting a copy for this alone! To me, this song is about life, spirituality, consciousness and the universe. So everything, basically. To others, it's about an LSD trip. 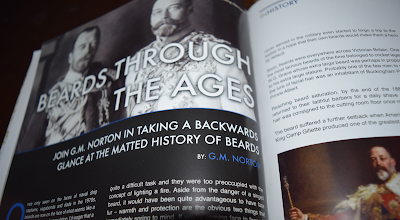 In Retrospect is quite wide-ranging too with topics including style, fashion, transport, history and beards. Yes, that's right, I think you may have spotted one of my contributions there. When I'm 64 - a song about getting older and a desire to spend your life with that special someone. 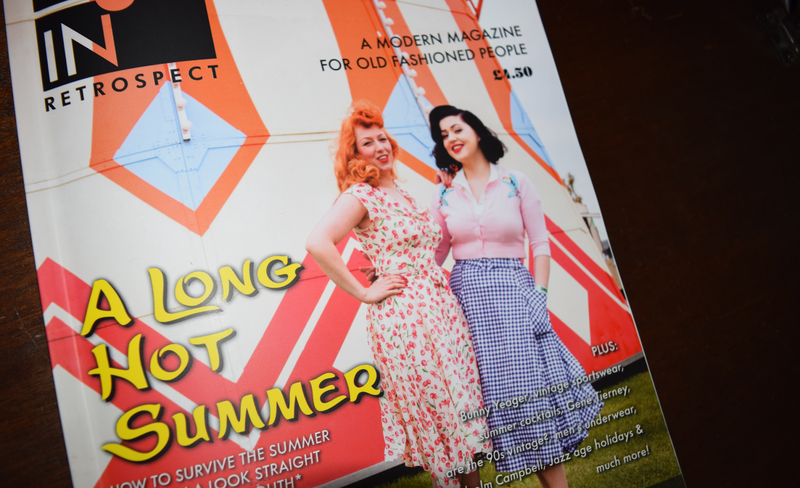 A lovely present for your significant other would be a subscription to In Retrospect. Another jaunty number by Paul and his attempts at wooing a traffic warden. Let's enjoy the words. Got the bill and Rita paid it......."
I beg your pardon? Please repeat that, Paul. "Got the bill and Rita paid it." Mr McCartney, please do read my article on chivalry. 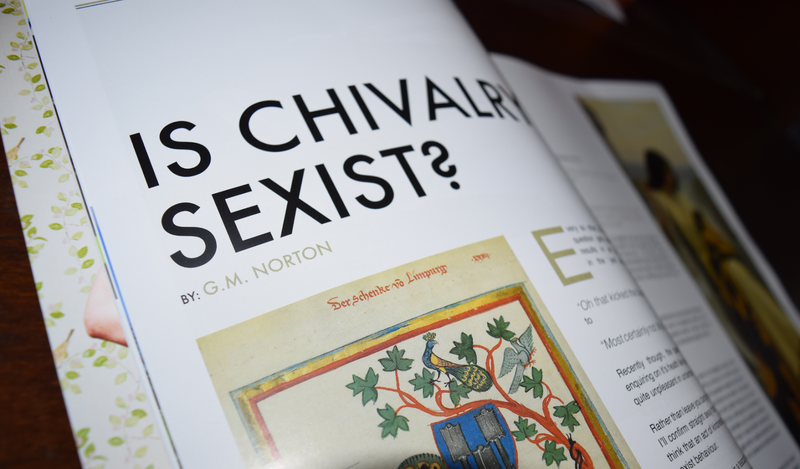 And may I also recommend my wooing article in Issue 02 for good measure. Juggling the editing of a magazine around my other commitments involved rolling the old sleeves up, chumrades. What with the office job, husbandry duties, spending quality time with my children and drinking myself into a stupor. That meant working into the early hours of the morning at times and saying "Good morrow" to the sparrows. By the power of the Twittering Device and Facebook, the 90s feature contains comments by readers, who shared their opinions on whether the 90s can be considered vintage. 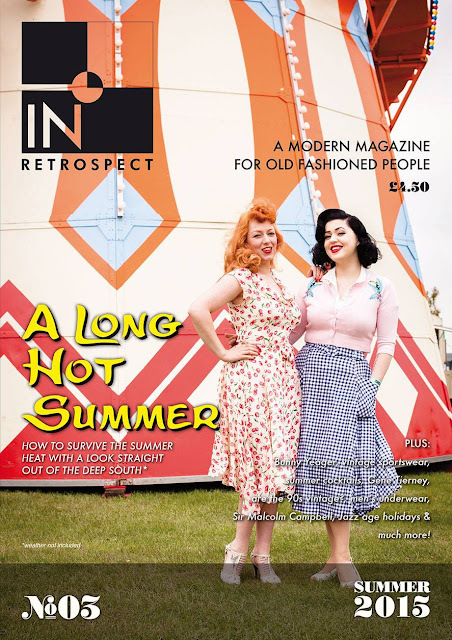 Each issue of In Retrospect includes an interview with a vintage lovely for the Southern Retro project. As I adore finding out about people's lives, this is fascinating stuff. 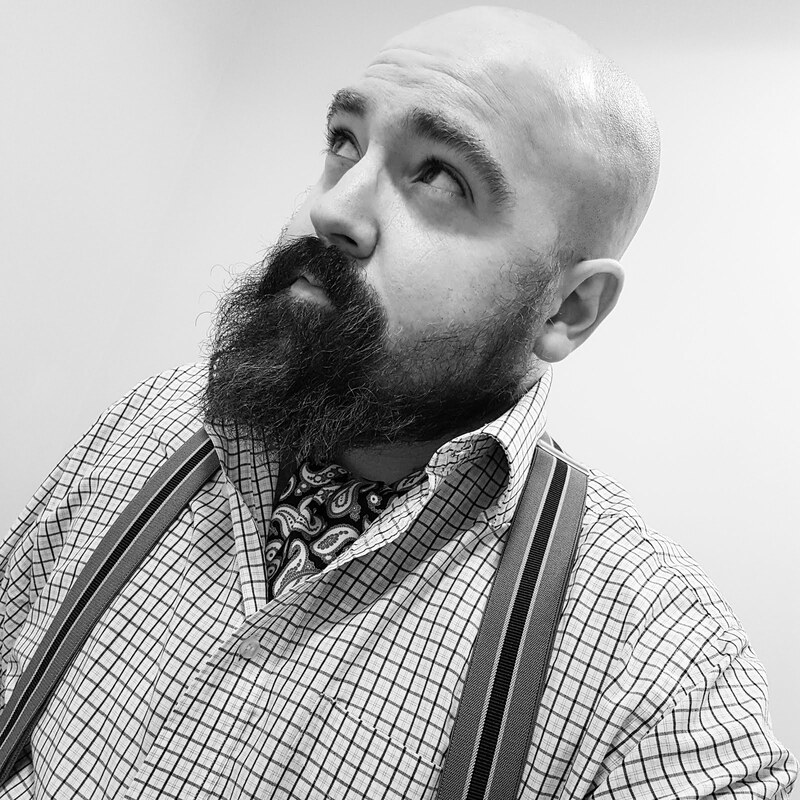 Do take a look at previous interviewees over on the Southern Retro esoteric site. Well, there you have it. Somehow, I may have pulled this off.